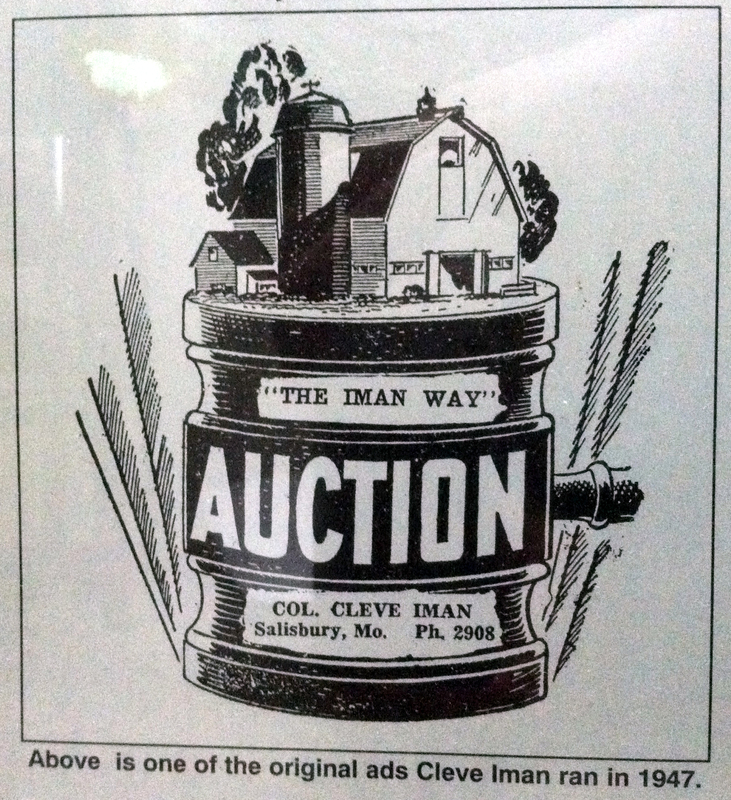 In 1947, Cleve Iman started Iman Auction Company in Salisbury, MO, calling auctions when he wasn’t training hunting dogs or serving as the Chariton County Sheriff. 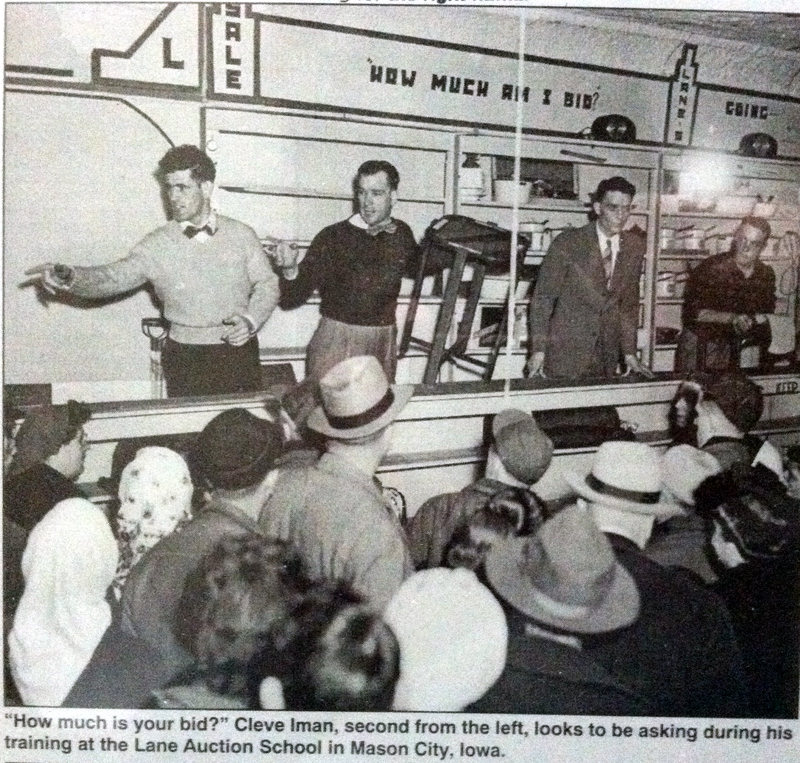 Cleve was known in the region for his humorous anecdotal stories during the auction and for being a man who cared for his customers not just as a businessman but as a good neighbor. 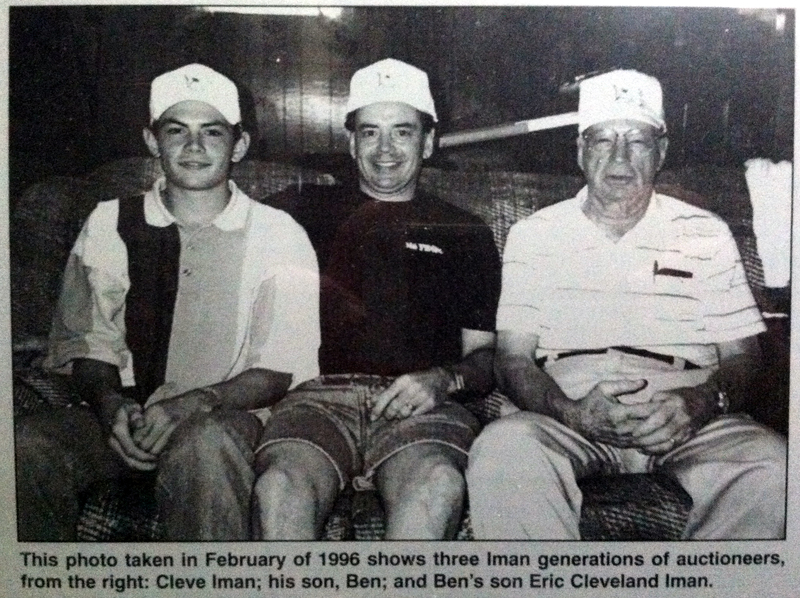 During the 80’s Cleve’s sons took over the business, with Ben Iman bringing it to where it is today…one of the regions most trusted and respected auction companies selling antiques, estates, real estate and record priced land. Carrying on the tradition, third-generation auctioneer, Eric Iman, continues to work with his father Ben, in the family auction business, while bringing the quality, care, and enthusiasm for auctions to Kansas City in IMAN Auction KC. Eric went to auction school in Kansas City’s West Bottoms in 1994, and has assisted in and conducted over a thousand auctions in the Midwest ranging from multi-day antique and art estates to million dollar real estate auctions. Having been around antiques his entire life and having studied art history at the University of Missouri – Columbia, Eric has focused his efforts on providing knowledgeable and professional auction services in the areas of estates, art and antiques. Eric and his wife, Erica (yes, Eric and Erica,) are happy to be settling in the Kansas City area after many years of living abroad and points across the country. Having both finished their undergraduate degrees at University of Missouri, they spent two years serving in the U.S. Peace Corps in Choibalsan, Mongolia. From there, they spent the summer of 2007 in Japan, Erica studying ceramics and Eric working on an blueberry farm on the island of Osakikamijima…experiences that have only added to their interest in the art and antiques world and an appreciation for what “home” in the Midwest has to offer. Active in the auction community, Eric is an 19 year member of the Missouri Professional Auctioneers Association having served on the Board of Directors. Eric has recently joined the Reece Nichols team in the capacity of a licensed Realtor and as the company’s real estate auctioneer. You can contact Eric at ericimanauctions@gmail.com or by calling 816-399-9627.